In October, any true beer fan will think at Oktoberfest. This year, however, the name of celebration may appear deceptively, because in most places the event takes place in September. Visiting small or large towns in Europe can get great trails and good beer. Where should deserve to go? If you visited the official objectives, you ticked Trinity College, Dublin Castle, have crossed all the parks far and wide, have admired reddish brown bricks from historic areas of the city, then you can head towards the castle of stout beer at Guinness House, a kind of Disneyland for lovers of this drink. About beginnings: In 1759 the brewer Arthur Guinness leased for 9000 years Brewery St. James Gate, which at that time was not functional. He knew that in Ireland blonde beers are not popular, therefore began production of brown / stout. In multi-tiered Museum Learn all about Guinness – anything is possible with the five senses. And if you’ve played enough, the next step would be to lose your nights in flavored beer’s Temple Bar from entertainment neighborhood. Guinness Draught, Kilkenny Irish Cream Ale, Murphy’s Irish Red. The Brazen Head, John Mulligan’s Pub, The Old Dubliner. 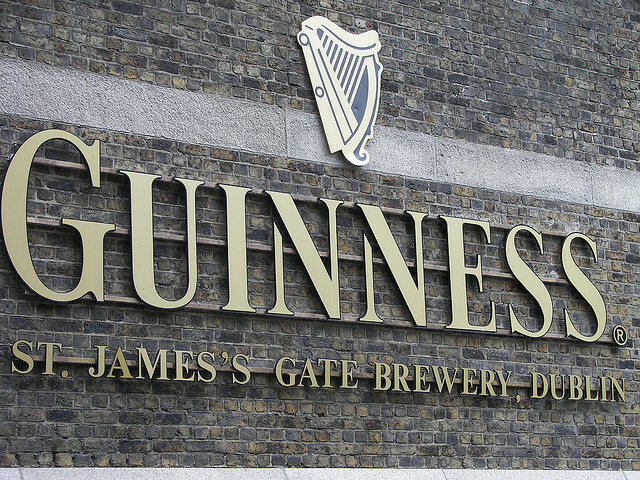 GUINNESS STOREHOUSE is open 7 days a week from 9.30am – 5pm (last admission is at 5pm). Late opening during July and August until 7pm (last admission is at 7pm). * Open all year apart from Good Friday, Christmas Eve Dec 24th, Christmas Day Dec 25th, and St Stephens Day (Boxing Day). Complimentary car parking is available at the visitor car park on Crane Street. GUINNESS STOREHOUSE is fully wheelchair accessible. If you start on the road in time, you can catch the biggest beer festival in the region. Marienplatz, the Museum Quarter or even the Olympic Park can expect anyway. Like the six largest breweries (Augustiner-Brau, Hacker-Pschorr, Hofbräuhaus, Löwenbräu, Paulaner, Spaten-Franziskaner) who care nowadays as anyone to not be thirsty. German beer is first mentioned in 736 in Geisenfeld a particularly barley juice. To this date, the oldest brewery in Munich looks very young: worth visiting Augustiner-Brau from 1328, where you have the opportunity to taste the oldest beer of the factory from the medieval period, called Augustiner Dunkel. Hacker-Pschorr Hefe Weisse, HB Hofbrau Munchen – Premium Lager, Spaten Oktoberfestbier. Hofbräuhaus, Augustiner – Bräu, Weisses Bräuhaus. In Belgium you can become Doctors of beer sciences. You just have to manage to taste the approximately 40-50 types of beer that you find in a bar. Did you know that the special beer glasses were created with specific forms carefully developed? The best known is the tulip glass, which is responsible for the flavor, but also visual and olfactory experience. The round shape from the bottom, which expands in the mouth, allowing the formation of foam collar. After you have checked the Eurocrats neighborhood and historic center, do not miss the opportunity to visit the Notre-Dame Abbey from the town of Leffe, founded in 1152, where is prepared from 1240 by the same recipe, tasty beer Leffe. Hoegaarden Grand Cru, Leffe Rituel 9, Westvleteren Blonde. Bier CIrcus (Brüsszel), Chez Moeder Lambic, Delirium Café. 56 rue Gheude 1070 Brussels 5′ from the Gare du Midi Business hours: Monday to Friday from 9 AM till 5 PM Saturday from 10 AM to 5 PM Last entrance at 16.15. Brewery closes at 17.00. Closed on Sundays and Public holidays. If you are not hurry, starting next year you can visit the next European Capital of Culture, this Czech town famous for brewing. If you prepare for Pilsen, have taken into account the time required for completion Pilsner Urquell visitor center which lies on 50 hectares that is at least half a day. Do not miss Beer Museum. An evening necessarily need to be dedicated the interesting underground restaurant Chodov Plana, who was named after the brewery Chodov. Its location is in the system of cellars near the factory – where you can get only on some tight corridors. These will guide you to the huge rocks rooms where, besides beer, visitors are welcomed by the wonderful menu and good quality meat and dumplings. Another interesting thing to end the trip: the first barrel of gold Pilsner Urquell was prepared on October 5, 1842. U Pinkasů, Zlý časy, První Pivní Tramway. Pilsner Urquell brewery tours can be undertaken only with a guide. We recommend warm clothing for touring the cellars: the temperature there is around + 8° C.